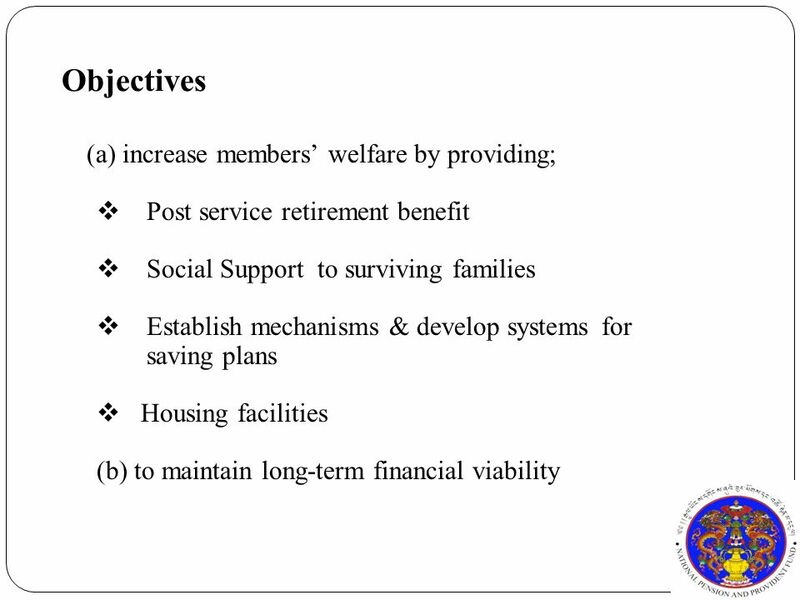 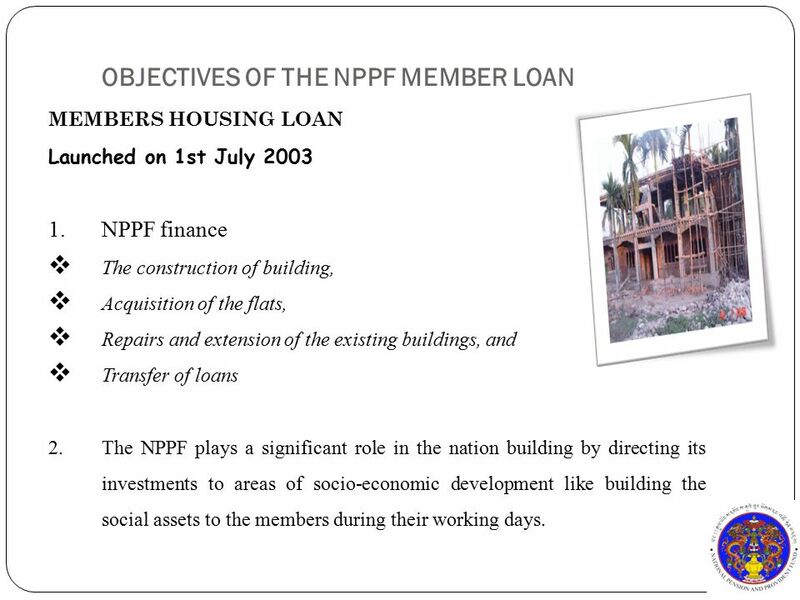 11 OBJECTIVES OF THE NPPF MEMBER LOAN MEMBERS HOUSING LOAN Launched on 1st July 2003 1. 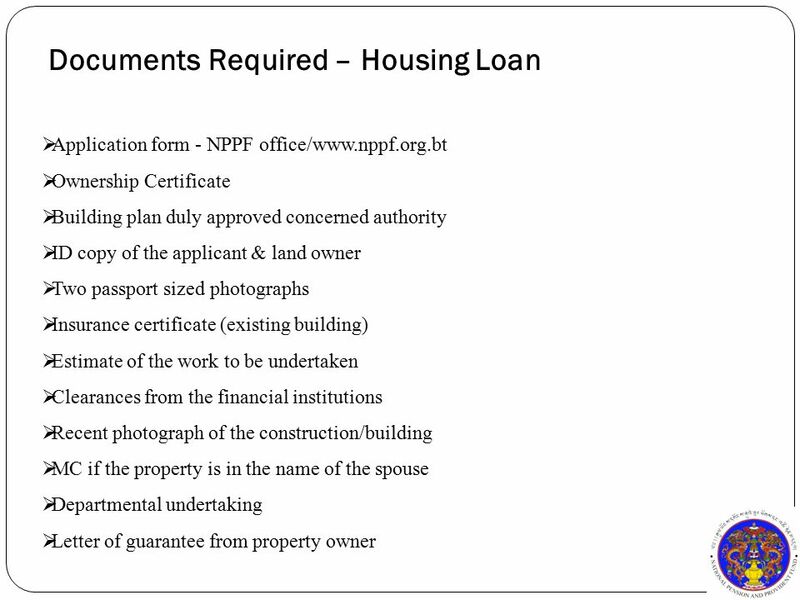 NPPF finance  The construction of building,  Acquisition of the flats,  Repairs and extension of the existing buildings, and  Transfer of loans 2. 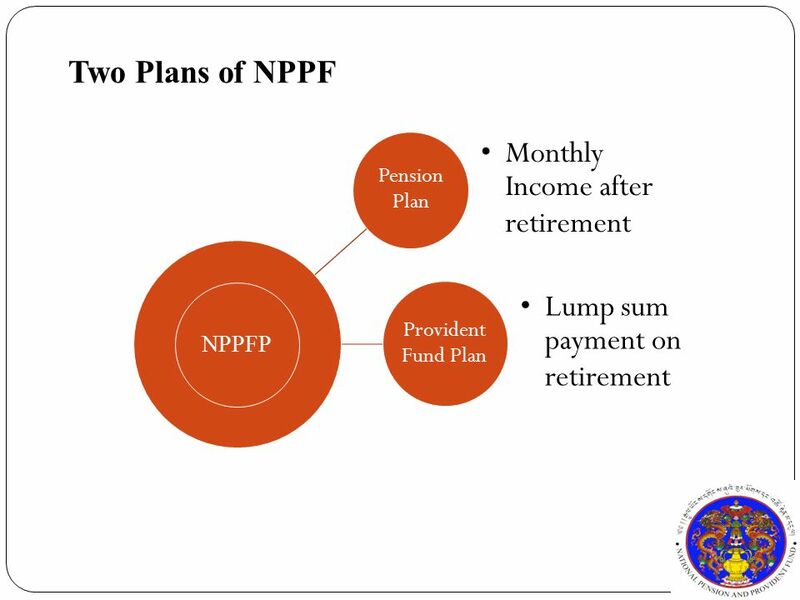 The NPPF plays a significant role in the nation building by directing its investments to areas of socio-economic development like building the social assets to the members during their working days. 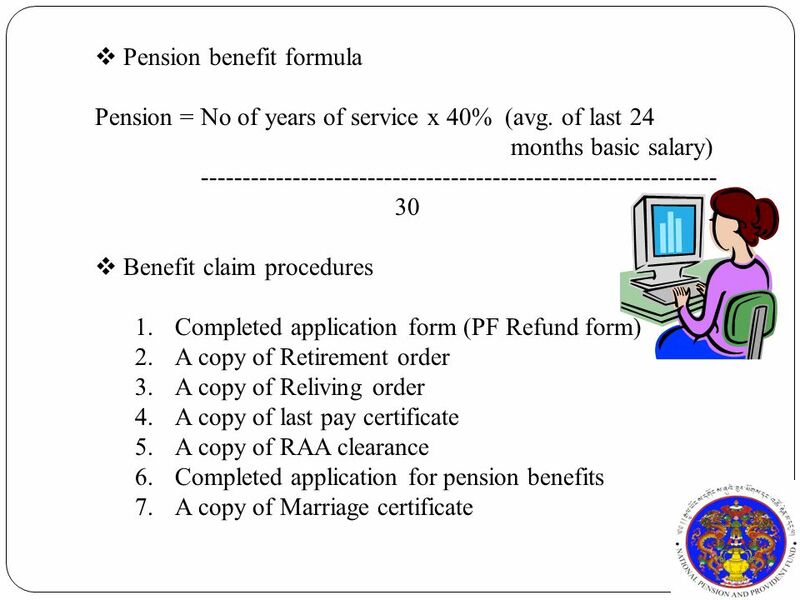 12 3. 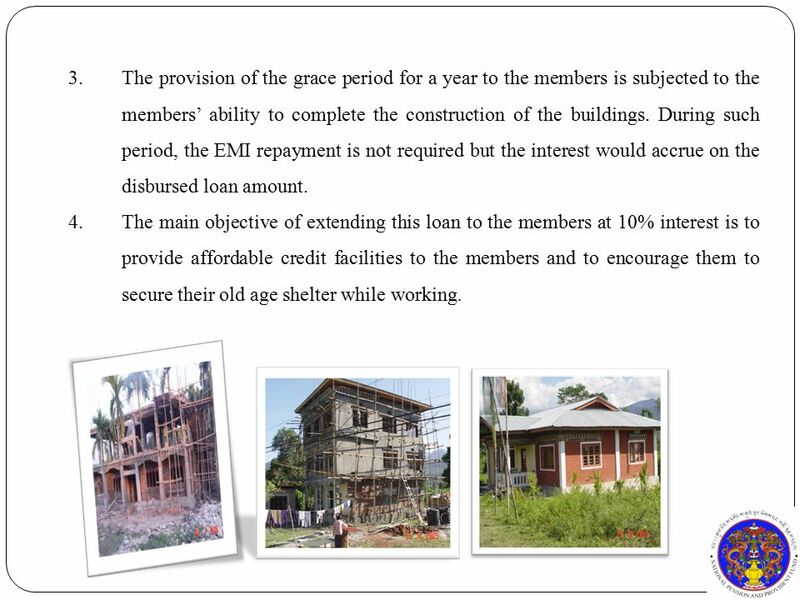 The provision of the grace period for a year to the members is subjected to the members’ ability to complete the construction of the buildings. 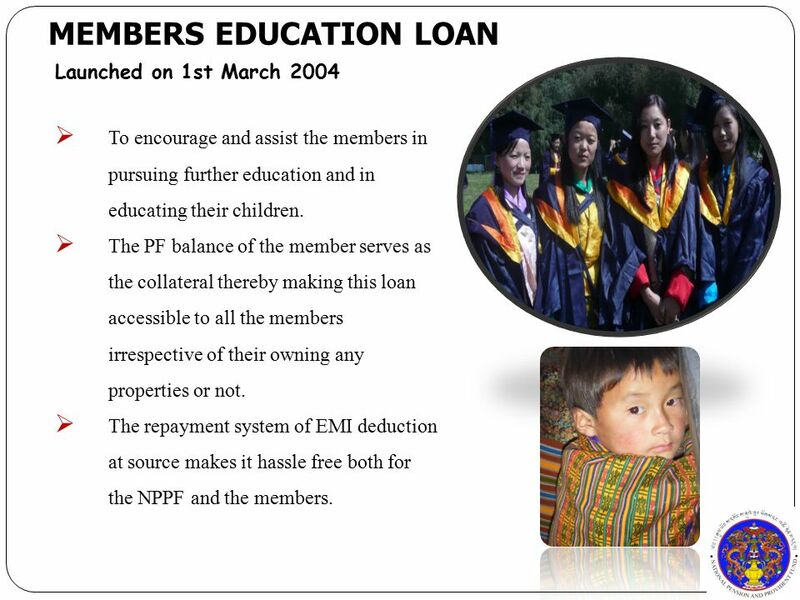 During such period, the EMI repayment is not required but the interest would accrue on the disbursed loan amount. 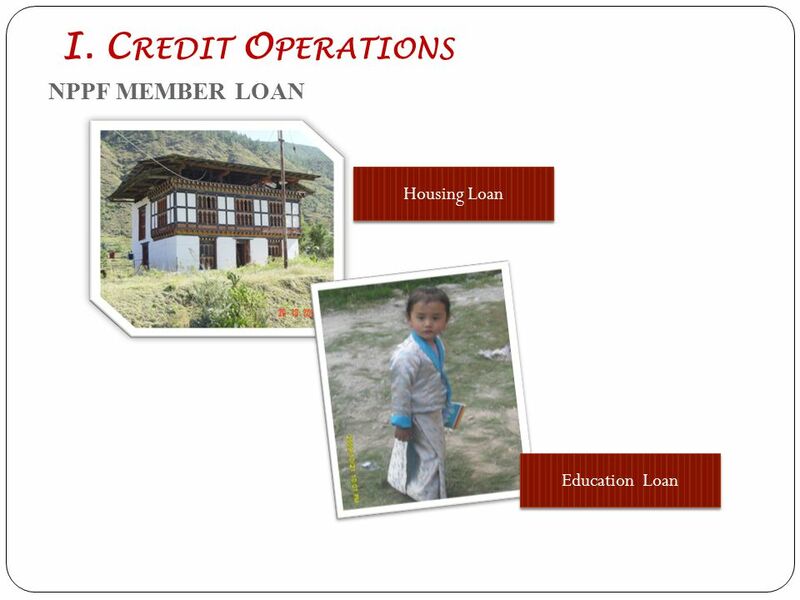 4.The main objective of extending this loan to the members at 10% interest is to provide affordable credit facilities to the members and to encourage them to secure their old age shelter while working. 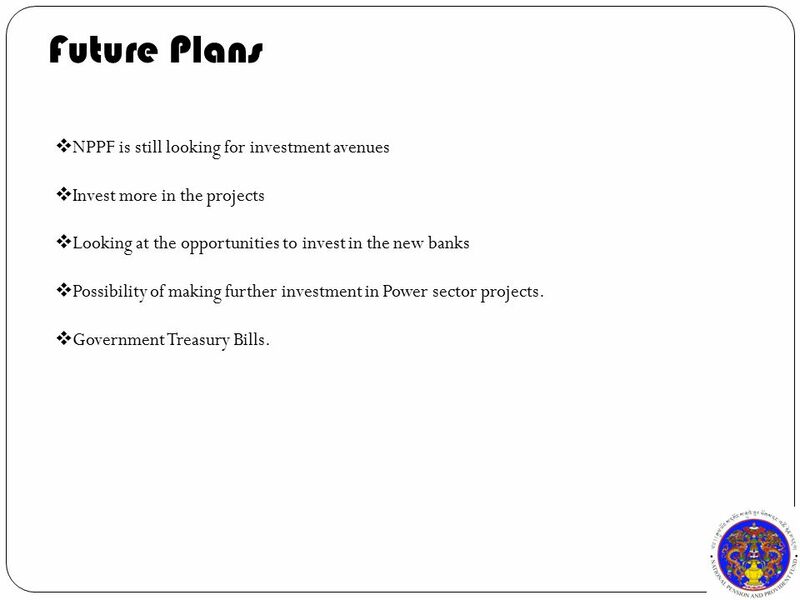 23 Future Plans  NPPF is still looking for investment avenues  Invest more in the projects  Looking at the opportunities to invest in the new banks  Possibility of making further investment in Power sector projects. 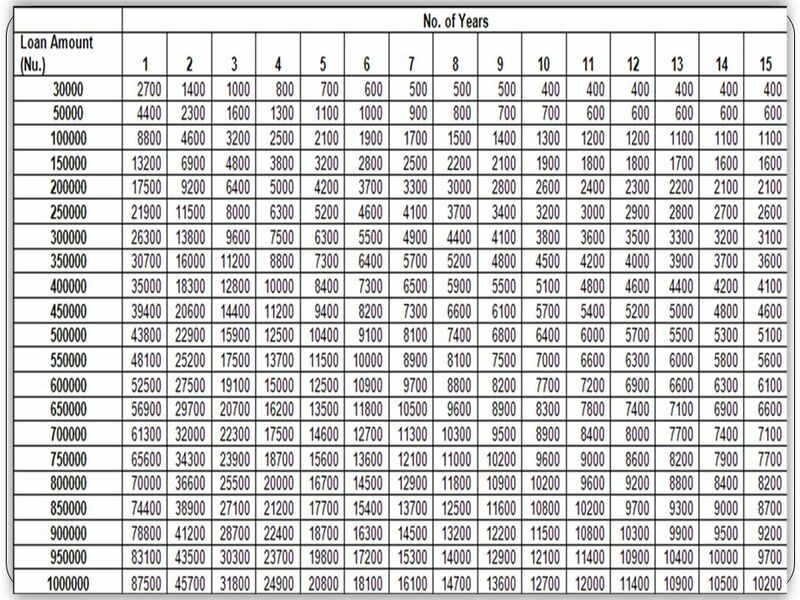  Government Treasury Bills. 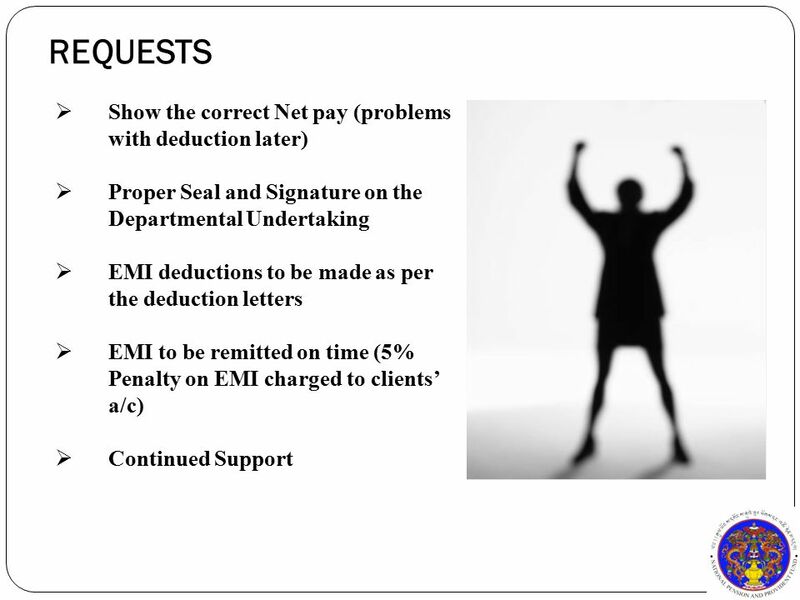 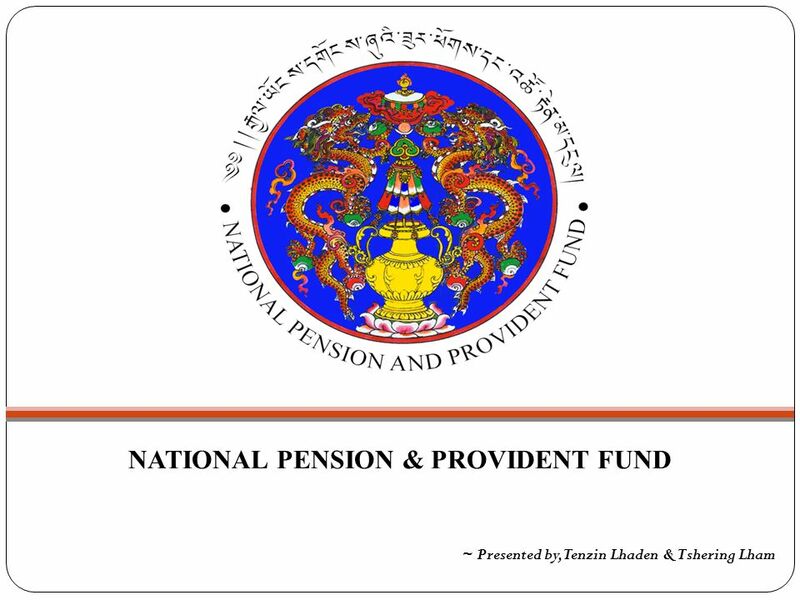 Download ppt "NATIONAL PENSION & PROVIDENT FUND ~ Presented by, Tenzin Lhaden & Tshering Lham." 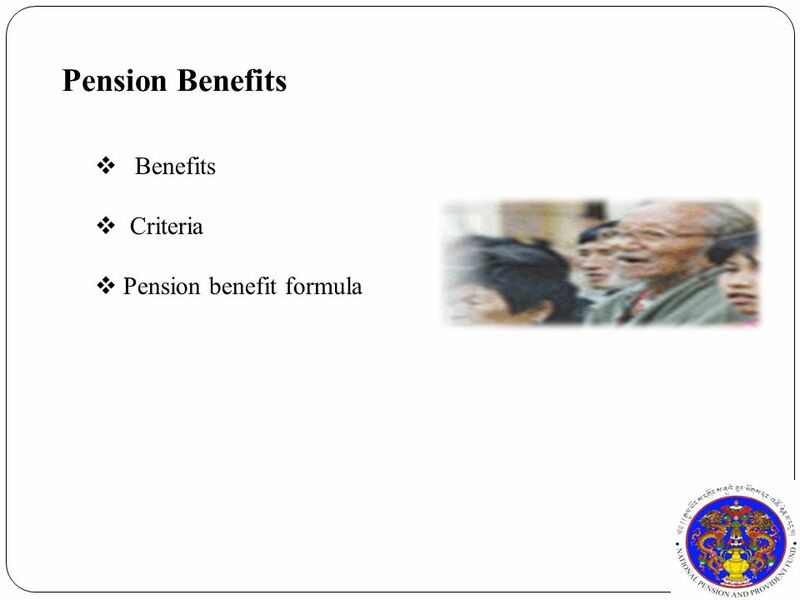 Basic Definitions What is Tax Deductible? 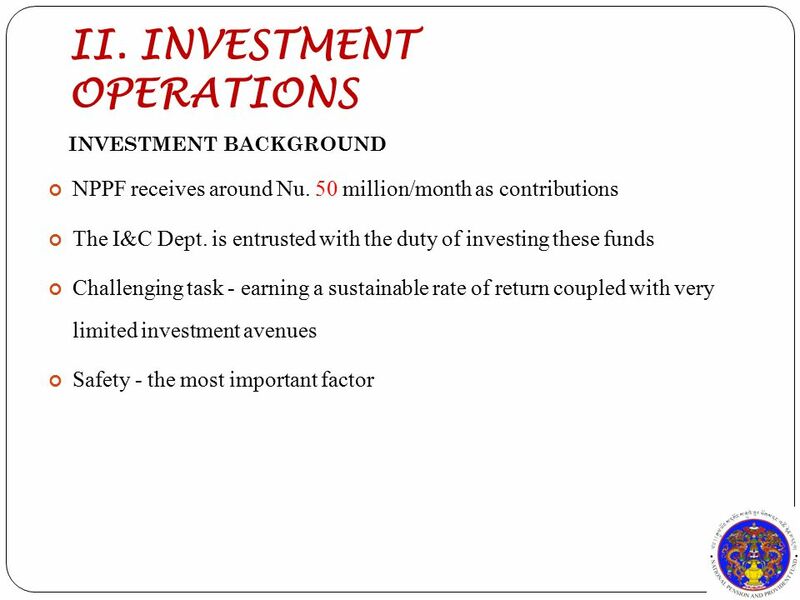 –Tax deductible means that whatever amount you contribute to an investment is tax deductible to you at the end. 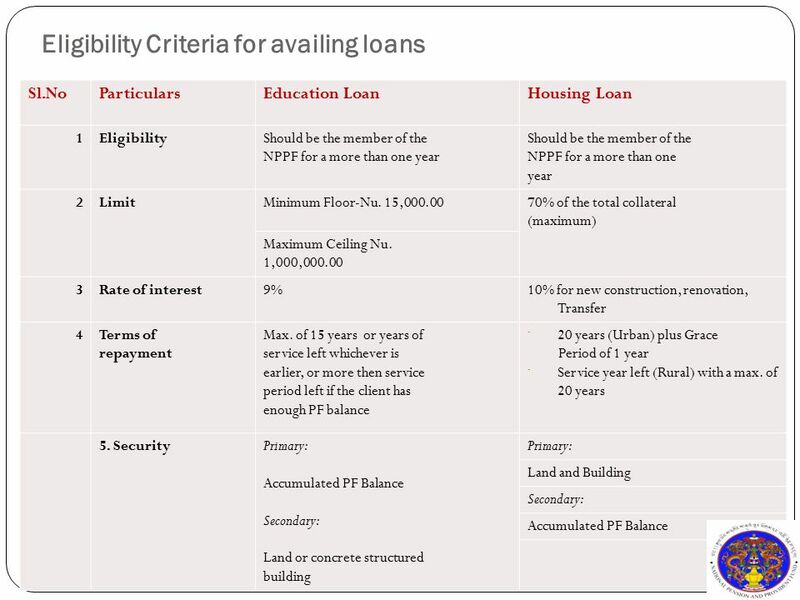 WE-BIZPAD---BOI SME 20/05/ STAR PRIYADARSHINI YOJNA Eligibility Women Entrepreneurs Enterprises where women hold minimum 51% financial holding. 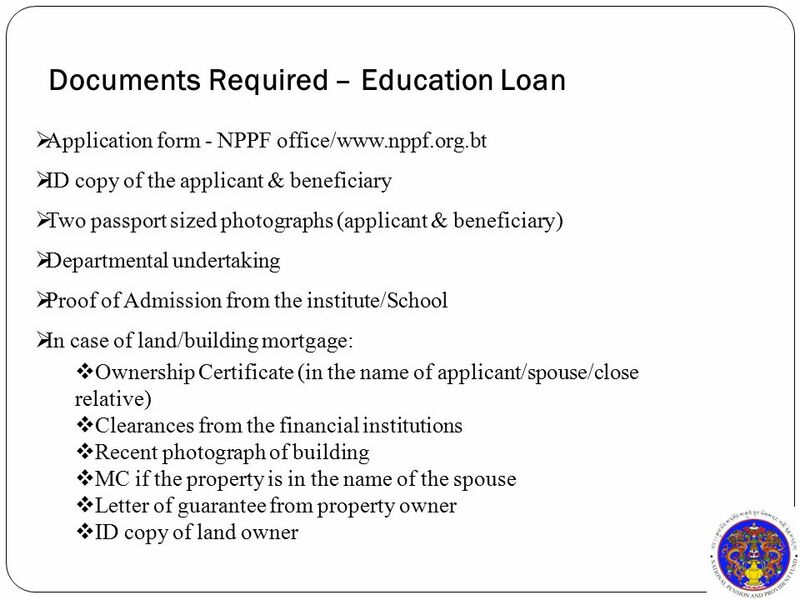 1 BANK OF AFRICA – UGANDA Products and Services Confidential. 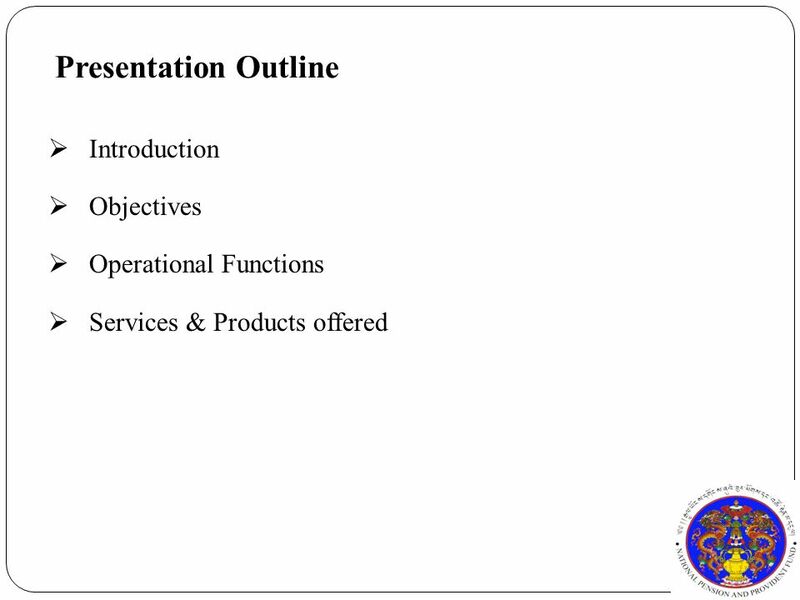 MARKET PLUS. 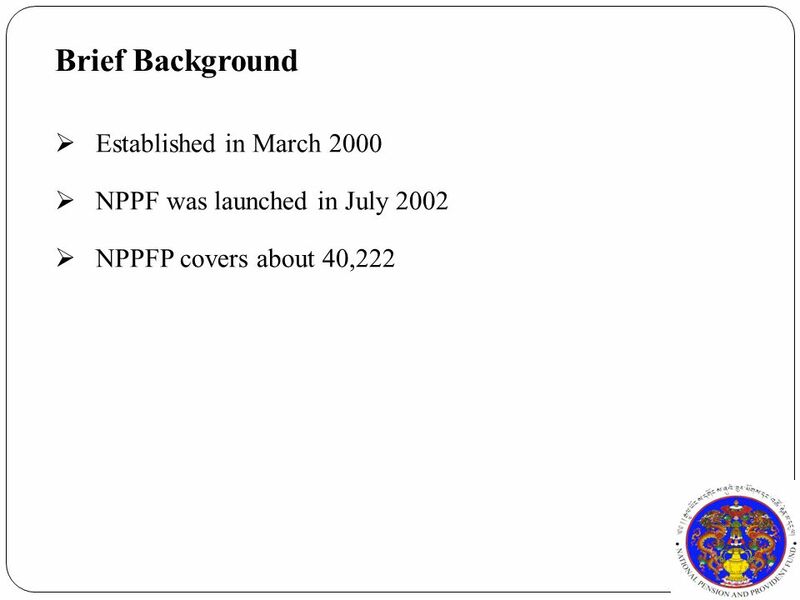 Market Trends SENSEX is around10,000 points….. 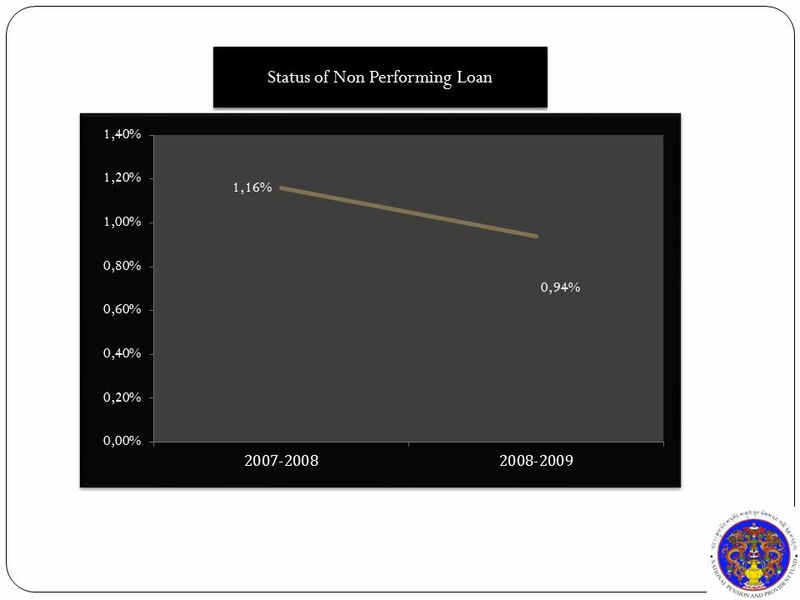 Volatility of Market Awareness of Unit Linked Plans Focus on liquidity. 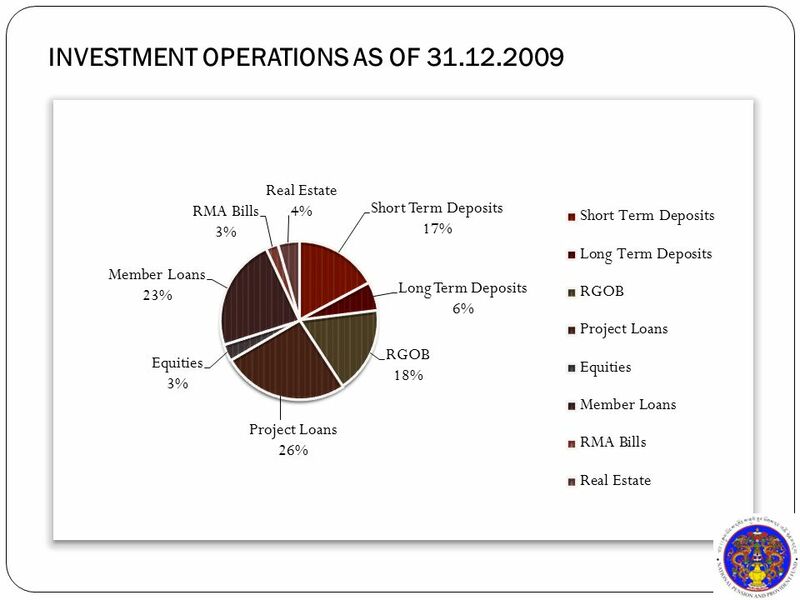 H&H ACQUIRE ISLAMIC FINANCE OPTION. 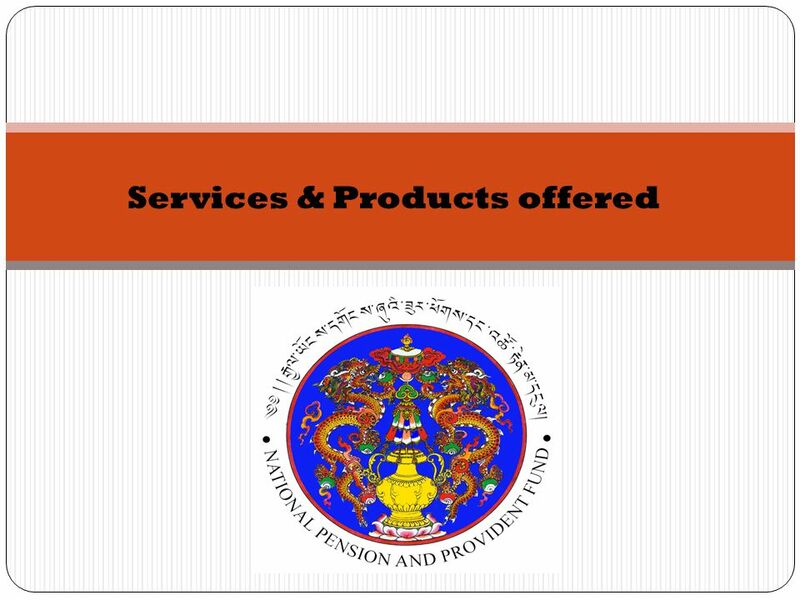 WHAT IS H&H ACQUIRE? 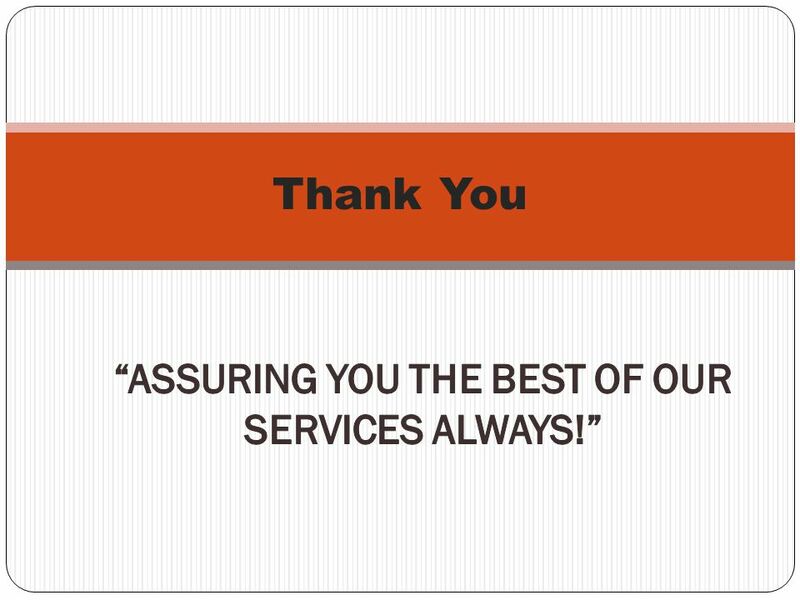 Assalamu Alaikum H&H ACQUIRE started as an initiative to the growing needs of Muslims in our. 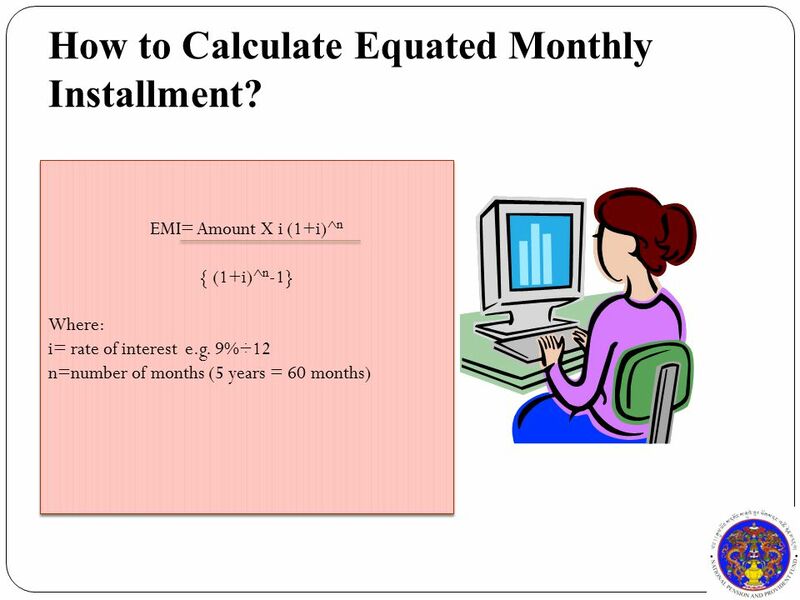 They’re Back….. Equitable Life’s RRSP and Investment Loan Programs.